Steven (Chicagoland, United States) on 3 December 2012 in Landscape & Rural and Portfolio. 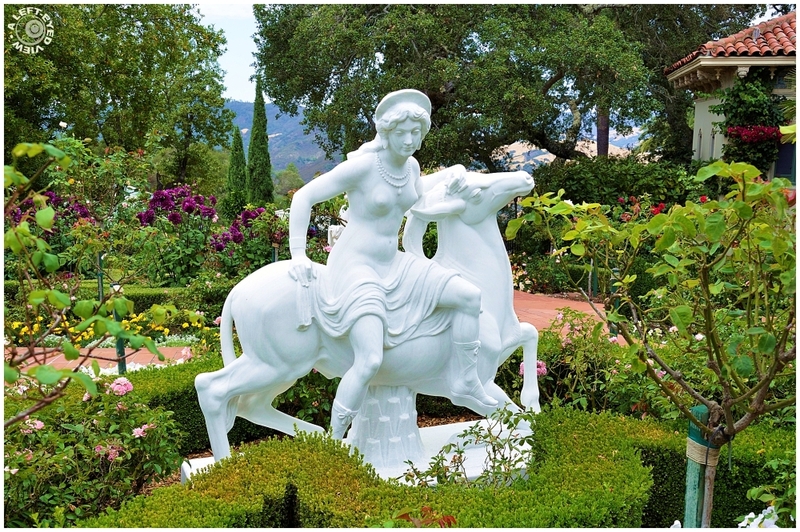 The grounds of Hearst Castle are lavishly accentuated with beautiful gardens and statues throughout. This statue was spotted outside of Casa del Monte. Best looking White Knight I've ever seen! Gorgeous sculpture. Very nice frame ! A garden frozen in time - superb shot! Beautiful, and it really stands out in this shot with the lush surroundings. Your settings were perfect to bring out the detail in the white sculpture! Perfect exposure avoiding the white being blown out. This produces a wonderful color image. WOnderful capture - the white statue really pops in these colorful surroundings. This garden seems perfectly kept, so is this statue, so...white!!! Gorgeous plants around this statue. What a beautiful setting! Beautiful capture and so pure, the marble so white. A captivating statue Steven.... it looks well tended to ... it's so white with no blemishes or weathered marks at all. It fits nicely in those lush gardens too... beautiful!! Fantastische Aufnahme mit einer sehr guten Belichtung. A beautiful statue and garden.